To kick off this Christmas Season we're going to have a run down of our top 12 Christmas Flowers for 2013. Our range of Christmas Flowers to buy online on our website Clare Florist contains everything from Roses, Carnations, Lilies, Germini and even Sunflowers. Whether you are looking for flower delivery to your home, or when sending flowers as a gift to a loved one, our selection of festive flowers has something for everyone. To start the countdown, our first christmas flower is our Winter Joy Basket, a new addition to our website especially for 2013. 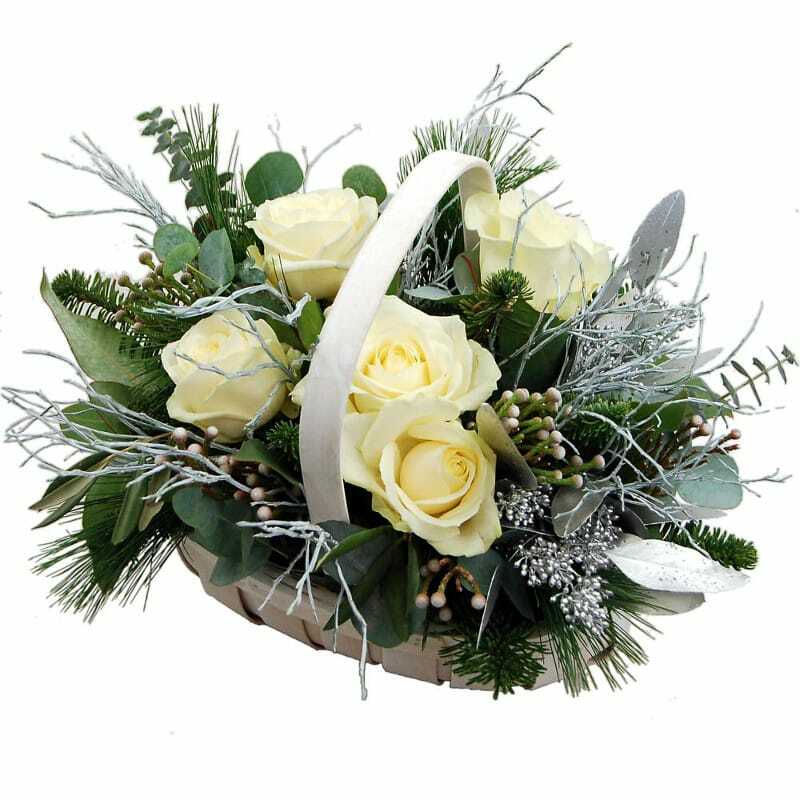 This Christmas Basket contains a beautiful collection of stunning White Roses upon rich green foliage with silver hilights. An ideal flower arrangement to add that Winter feel to your home, our Winter Joy Basket is kept securely within a charming white basket with a top handle for mobility. This Winter Joy Basket will look stunning upon your table to finish off your Christmas decorations, and the White Roses give off a lovely scent to last you through these cold winter nights. Join us later in the week when we will be looking at our next Christmas floral bouquet!